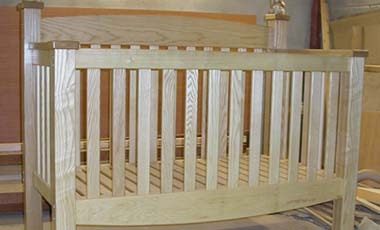 The cot is constructed entirely of welsh ash. 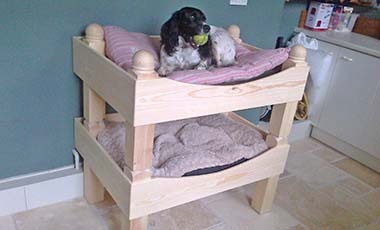 And has a slatted base and sides and with long elegant spanning curved back and bottom sections. 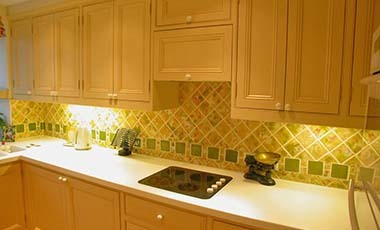 Fully fitted kitchen in Wimbledon, south-west London. Painted MDF carcassing, fitted appliances and corian worktop. 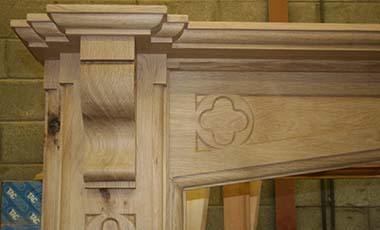 This fire surround commissioned to fit two AGA cookers under in a large inglenook, with decorative carved quatrefoils carved into each corbel. 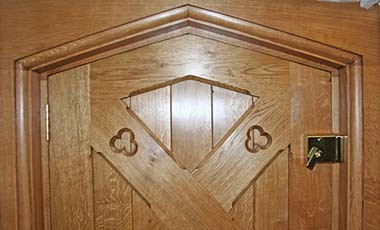 Welsh Oak front door for period farm-house. 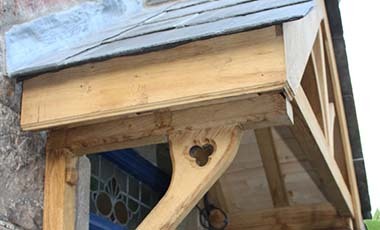 Solid Welsh Oak, designed to complement quaint cottage. The customers old door was gravely deteriorated and he badly needed a replacement. 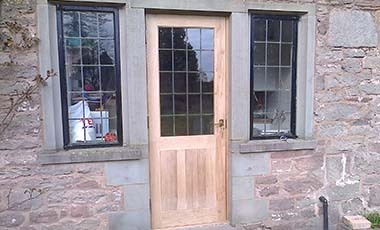 We made and fitted a new door in keeping with the property. Designed for a ladies bedroom in collaboration with the customer. 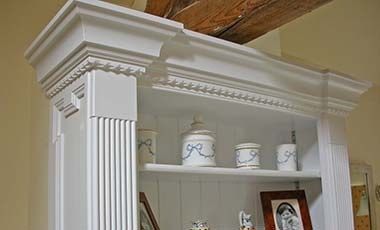 Delicately moulded cornice. Fluted columns and moulded skirting with moulded insert panels on each door. 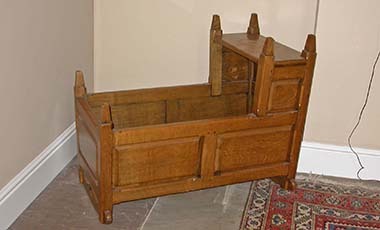 Solid oak cradle with raised panels and head nest, made for customer as a family heirloom for her children and future grandchildren/great grandchildren. 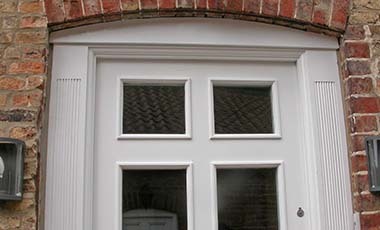 Large meranti hardwood front door with four double glazed windows and with three raised panels. 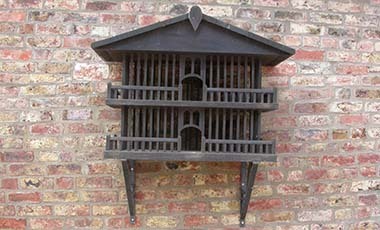 Two tier design with banister balconies for the birds to enjoy. Has been moved to four different houses by the same customer! 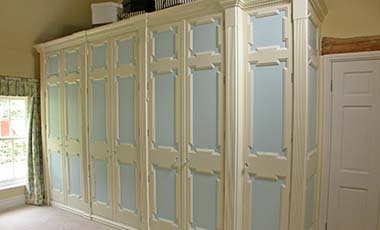 Bathroom Cabinets with open shelves, shelving fully adjustable, reeded mouldings. 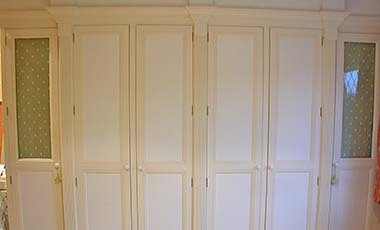 Bathroom Linen cupboard also with fully adjustable shelves. 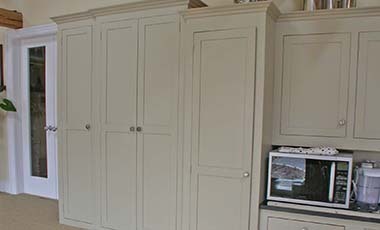 Original kitchen was not made by us, but we were approached by an existing customer to produce additional cabinets in line with the style of her kitchen already fitted kitchen. 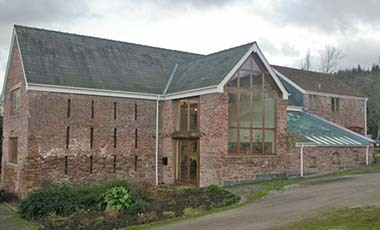 Our brief was to make the extension look and feel as original as the old part of the kitchen.